Need that perfect way to start a Rubik's Cube routine? 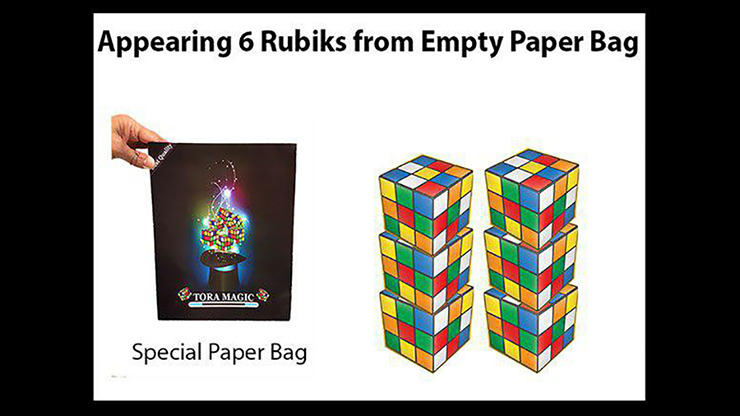 Then you need Appearing Rubiks! Imagine showing an empty paper bag. Now imagine the looks of amazement as you pull out a Rubik's Cube. Now imagine the screams when you repeat this effect over and over to produce a total of SIX cubes! Even seeing it they won't believe their eyes! Get Appearing Rubiks and enjoy the sounds your audiences make at each phase!